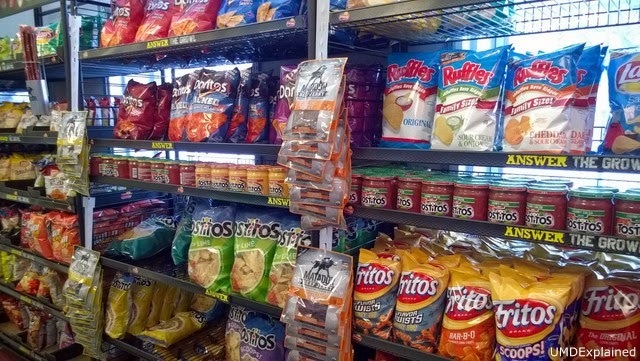 The North Campus Snack N Shop is one of the convenience stores located on campus. 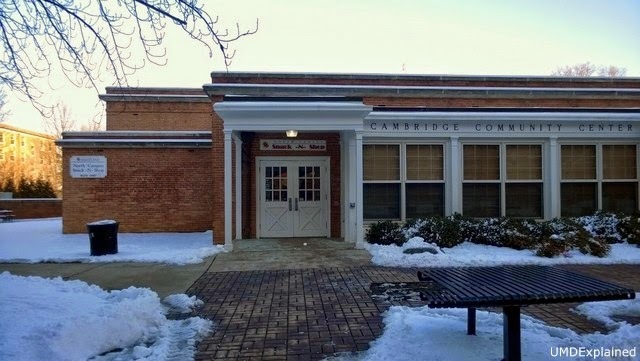 It's located in the center of the Cambridge community. 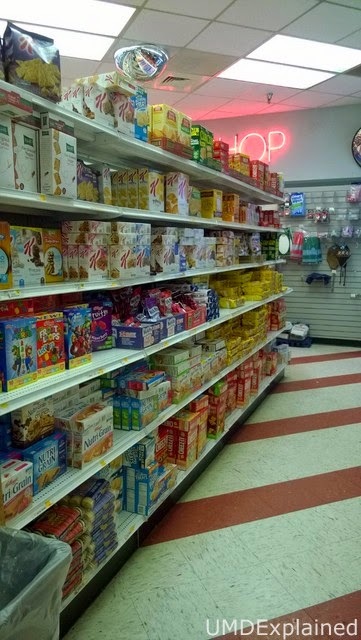 Students often call this convenience store the "incon" because of its relatively inconvenient hours of operation (on weekdays, it's open from 7:45 am to 1 am, and on weekends, it is open from 11 am to 1 am; compared to the Denton community's 24 hour shop's hours, the Snack N Shop is considered inconvenient). The Incon sells a lot of items. There are snack foods such as Special K cracker chips, Special K cereal bars, and Keebler brand cookies and crackers. 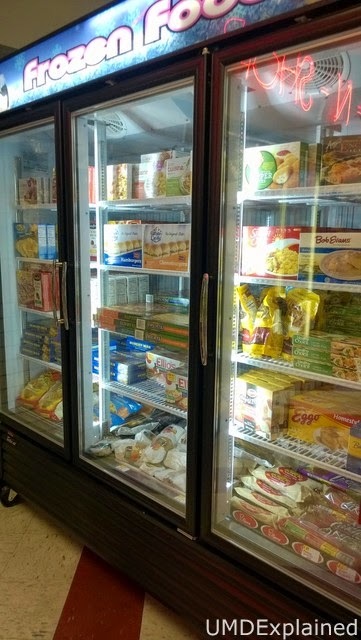 The Incon also sells frozen foods, such as Lean Cuisines and waffles. 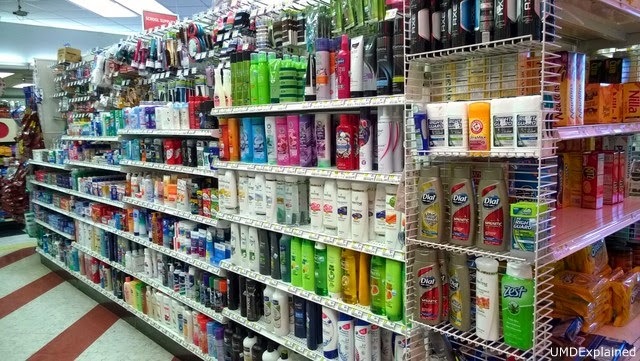 There's a plethora of shampoos/conditioners/body washes to choose from. 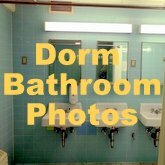 Dove, Sauve, Herbal Essences, Garnier Fructis, Head and Shoulders, and TRESemmé hair products are all offered. The shop sells a variety of candy and chocolates. 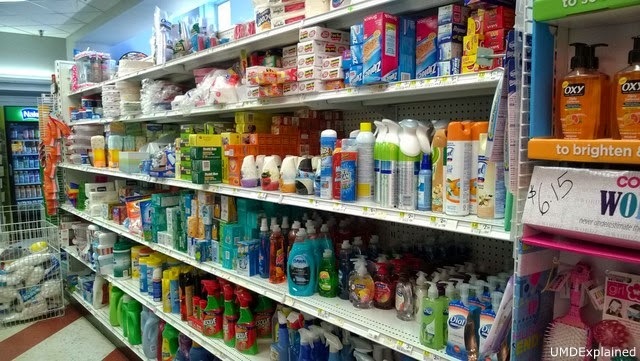 There are household items offered like soap, air freshener, zip lock bags, and disposable plates/bowls. 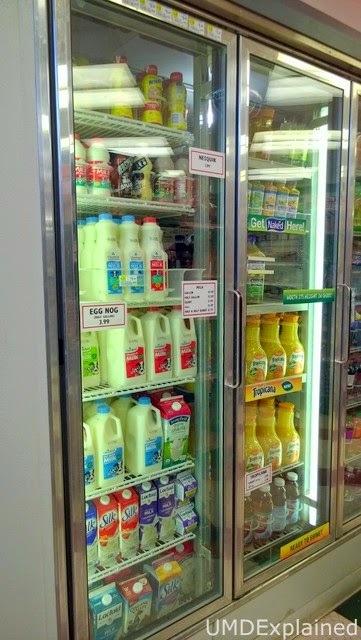 They carry beverages like milk, orange juice, and smoothies. They also sell caffeinated drinks, Gatorade, and bottled water. On one side of the shop, there are coffee machines, a milkshake maker, and a soft-drink dispenser. There's a large selection of chips. They sell jerky and salsa too. Health care related items can also be found in the Snack N Shop as well. You can buy feminine products, eye drops, contact lense saline solution, medicine, condoms, and TUMS. 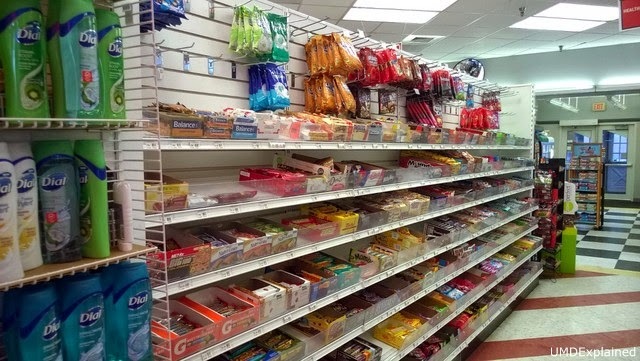 The Snack N Shop sells almost all the things you might need on campus. It's basically a mini grocery store. If you want to bake on campus, they sell cake mixes, oil, light corn syrup, frosting, and butter. There are greeting cards and balloons too. They also carry breakfast items, like bagels and muffins. The photos above only reflect a portion of the Snack N Shop offerings. Even make up (eyeliner, concealer, blush, foundation) is sold. 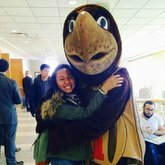 The Snack N Shop accepts Terp Bucks, the Stamp Add-on plan, the Apartment Plan, Terrapin Express, cash, and credit cards. 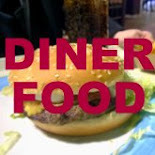 The Snack N Shop DOES NOT accept dining points.